Such a vague question. I was 19 years old, heartbroken, taking “General Education” courses that I absolutely dreaded, and had a total of about $200 to my name. I had no idea who I was. And yet, as I read my journal entry aloud for 15 strangers to ponder and judge, they all made me feel like a writer that day. Fast forward to now: I am 26 years old, married to the love of my life, fur-mama to the cutest animals on the face of this earth (I’m sure of it), and a homeowner. And as of this moment now, I am also a blogger. I can attribute my desire to start a blog to a number of reasons. Remembering that day in my college Journaling class is one of them. My song-writing husband has definitely fueled my love for words over the years. But my biggest inspiration has been no-other than this old Farmhouse on Five Mile. Just like my own soul, it has character. Just like my own inward and outward appearance, it is ever-changing and growing. It has memories and flaws and a uniqueness I can somehow relate to. It’s not dreamy, it’s not spotless, it is definitely not perfect. But it is beautiful. I could write out countless paragraphs to sum up who I am now and where I’m headed (or at least where I think I’m headed…we never really know, do we? ), but something tells me you’ll figure all that out in my future blog posts. Something tells me I’m going to love all the people who want to follow along this journey with me. New projects like finding the perfect coffee bar to feed my coffee addiction, building a new farmhouse dining room table, selecting the perfect paint color for our bathroom, and planting our very first fruit and vegetable garden…these are all projects in the works. I think in time, as you willingly (hopefully?) 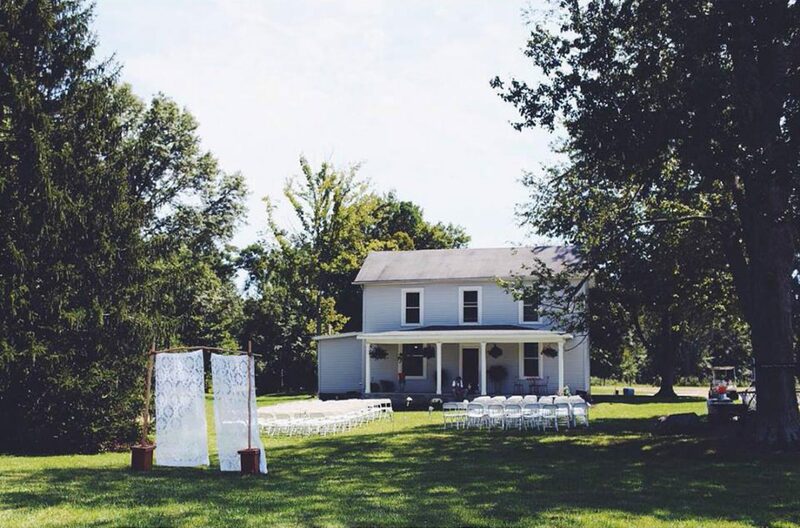 follow my homeowner/fur-mama/pursuit-of-being-a-business-owner/wife-of-a-musician/Jesus-following journey, you’re going to fall in love with this farmhouse too. New year, new beginnings, new journey, new me, new blog. 2017 is for the dreamers, wouldn’t you agree? Whoa – we have a lot in common! I’m a few years behind you in age, recently married, new fur-mama, looking for a home in a year or two, started my business last year, also love the Lord! I’m excited to follow your blogging journey! Nice to “meet” you, Kelsey!